The Krechba Gas Processing plant, part of the In Salah Gas project in Algeria, injects up to 1.1 million metric tons of carbon dioxide beneath the Sahara Desert every year to offset emissions. Africa, the cradle of humankind, has always yielded essential components for human sustenance. The continent’s rich natural endowments — not only oil and natural gas, but also other fuel and non-fuel minerals as well as timber, natural fibers, spices, exotic fauna and more — have defined African history, politics and trade. Africa’s resources are both a blessing and a curse in the ever-changing fabric of cultures and personalities that continue to march across this ancient place. Today, Africa enters a new phase in the history of global oil and gas development as the continent’s industries and businesses slowly realign around increased self-determination. The drive to use some of the precious energy sought by foreign interests for internal domestic markets, while also capturing much needed capital from international oil and gas trade, will set the tone for the foreseeable future. The first priority across most of Africa is to utilize the continent’s natural resources to improve local standards of living. Oil and natural gas are of little use to anyone, including Africans, without pipelines, refineries, electric power plants and other “hardware” that enable hydrocarbons to be moved, processed and converted to useful forms of energy and materials. Huge sums will be required to build modern energy systems on a continent that lags behind with regard to energy access; the guiding developmental frameworks must foster home-grown capital as well as attract money from abroad. Additionally, African governments, like the governments of oil- and gas-producing countries elsewhere, want a bigger slice of the oil and gas profits pie. And while they have many tools for getting more value out of their own resources, including influencing commercial arrangements, African governments will need to do a better job managing their resource wealth. Finally, and perhaps most notably, the landscape for oil and gas investment in Africa is diversifying. Long dominated by European and American interests, Africa is now home to Chinese, Indian and other new entrants competing for oil and gas projects and challenging the status quo. Africa is relatively underexplored for hydrocarbons. This is true for even the established producers such as Algeria, Libya and Nigeria. For example, only a handful of exploration wells have been drilled in Algeria’s offshore basins, though the potential is thought to be enormous. Most gas fields that are not associated with established oilfields in Nigeria have yet to be developed; estimates vary significantly, but Nigeria is thought to contain 180 trillion cubic feet (Tcf) of natural gas reserves. Although Nigeria has been a major oil exporter for decades, significant offshore as well as onshore oil resources remain unexplored. And apart from the three largest producing countries, a host of projects and the culmination of long-awaited opportunities are moving other African countries forward. African oil’s growing importance in the world is apparent in the recent production increases. Throughout the 1990s, Africa accounted for about 10 percent of world production. This decade, the share increased to 12 percent. Between 2000 and 2005, Africa supplied more than 2 million barrels per day (bpd) or about 25 percent more oil to world markets. This isn’t due to increases in just Nigeria, Algeria and Libya. Angola, Sudan, Equatorial Guinea and Chad have all increased their contributions as well. Angola alone was responsible for about 500,000 bpd of this increase (Angolan production accounts for 13 percent of Africa’s total output). 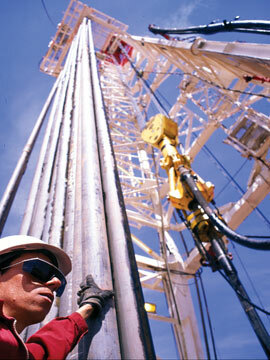 The reserves estimate for Sudan leaped 10-fold to 5 billion barrels between January 2006 and January 2007. Sudan, however, remains politically controversial: Darfur is an international test case on whether oil and politics can mix. Meanwhile, Libya offers a compelling case for restoration: The removal of sanctions a couple of years ago renewed investors’ interest in this hydrocarbon-rich country. Gas is flared at a flow station owned by Agip in the Niger Delta, near the Akala-Olu community. Flared gas is a major source of carbon dioxide emissions. Likewise, the end of civil war in Angola raised the attractiveness of that country for upstream investment and demonstrates the importance of conflict resolution for oil and gas operations. Another test case is the lush but impoverished Niger Delta. 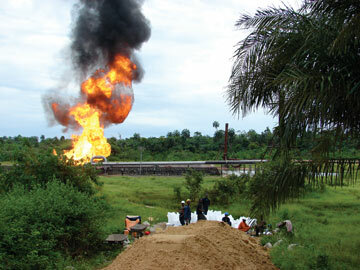 Civil unrest in the Niger Delta disrupted Nigerian production in 2006 and many facilities remained offline in 2007. Altogether, some 300,000 bpd of oil production is reportedly “shut in” (stopped producing) as of this writing. Nigeria’s loss was more than made up for by Angola and Libya, however. These and other countries are expected to continue to offset any shortcomings in Nigerian deliveries. Additionally, Africa has emerged as an important supplier of liquefied natural gas (LNG) to the world, with natural gas production increasing by more than 5 Tcf or 42 percent and African LNG now accounting for more than 27 percent of global trade. As with oil, new African producing countries are participating in natural gas production and trade movements, as Algeria, Egypt and Nigeria are now joined by Libya, Angola and Equatorial Guinea. Like many oil- and gas-producing regions, Africa benefits from the trends of advanced technology and exploration in deeper water. For instance, advanced technologies and creative production schemes in deep waters of the Gulf of Guinea off Africa’s western coast near the equator and farther south in Angola are responsible for that region’s emergence as a major hydrocarbon supplier to the world. The island nation of São Tomé e Príncipe is an additional target for the heightened level of interest in Gulf of Guinea opportunities. Gabon, a member of the Organization of Petroleum Exporting Countries (OPEC) until 1995, is revising its fiscal systems to take advantage of the investment wave in the region. Additionally, the 2007 announcement of oil discovered offshore Ghana generated excitement in that country. Offshore possibilities around Africa are plenty, covering a wide range of countries from Tanzania and Mozambique on the eastern coast to Mauritania, Morocco and Namibia along the western coast. Certainly not all of these prospects will translate into export projects, but the region’s importance for global hydrocarbon supplies was confirmed when the United States established Africa Command to coordinate U.S. government support across the continent and assist countries in preventing smuggling, piracy and terrorism. Sasol, a South African company involved in mining, energy, chemicals and synthetic fuels, now uses natural gas to run its operations. In the global oil and gas value chains, resources and infrastructure are inextricably linked as supplies move from field to market. To a large extent, Africa’s resources have not been well-developed because of a lack of infrastructure to attain either export markets or internal customers. Chad’s resources, first discovered in the 1970s, for example, remained inaccessible until the Chad-Cameroon pipeline was completed in 2003. And an investment contract was only just completed in December 2007 for the enormous Angola LNG plant in Cabinda. By comparison, Mali, Niger and the Central African Republic are not even sufficiently explored to evaluate resource potential; these countries are landlocked and their own markets are too small. Nevertheless, smaller companies are taking risks to explore for hydrocarbons in these countries and any significant discovery may encourage these countries and investors to pursue outlets such as the Chad-Cameroon pipeline. Furthermore, infrastructure investment plans in neighboring countries may bring unintended benefits. For instance, if Nigeria and Algeria pursue the mega Trans-Sahara Gas Pipeline project, a 4,300-kilometer-pipeline that they have been seriously considering for the last five years, Mali may be able to access this pipeline conveyance if natural gas is discovered. But as noted above, not all oil and gas exploration will yield supplies for export. Oil and gas are needed for African economic development as well. The case for home-grown markets for Africa’s own resources is most poignant with respect to natural gas. Nighttime satellite images reveal two striking features of the continent — its prevailing darkness, a testament to both inadequate and poorly utilized electric power systems, and the brilliant flashes of light as natural gas is flared in the key producing countries. Capturing flared gas — natural gas that is produced in association with oil, but cannot be sent to market because of a lack of infrastructure or customers or the like, and thus is simply burned off into the atmosphere — is a priority for many African governments and companies for environmental and economic reasons. Conversion of all or some flared gas to electric power is a stated goal for most. 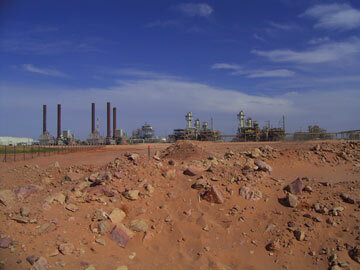 In Salah Gas is the largest dry gas joint-venture project in Algeria. Involving BP, Statoil and Sonatrach, the venture includes development of seven proven gas fields in the southern Sahara, 1,200 kilometers south of Algiers. Both domestic and regional infrastructure will be required to achieve gas flaring reductions and provide more productive and efficient exploitation of natural gas into the future. Nigeria and West Africa offer a compelling case study. For years, associated gas production was flared in Nigeria for lack of domestic and export markets. LNG and pipeline projects offer large export potential, but countries like Nigeria now look at natural gas as an engine of domestic economic growth and political stability as well. The West Africa Gas Pipeline will bring gas that is currently flared from Nigeria to Benin, Togo and Ghana. The recipient countries must finalize regulatory frameworks that will facilitate investment in gas-fired power generation as well as industrial applications. West Africa suffers from acute electricity shortages, and many band-aid solutions such as small-scale diesel or dual-fired generators and demand-side management projects are used to make up the difference, usually at much higher cost or greater negative impact. Large, regionally coordinated, combined-cycle gas-fired power plants could ship electricity practically anywhere in the West Africa region through a regional grid envisaged by the West Africa Power Pool. Because individual West African markets are relatively small, especially in countries such as Benin and Togo, regional approaches have the potential to be more attractive to investors and result in lower costs for all customers and consumers. Through its natural gas master plan, Nigeria also intends to develop its domestic market for natural gas via power generation and industrial uses in petrochemicals, fertilizer, steel and aluminum among others. Much of the plan is dedicated to economic development in politically sensitive or unstable states in Nigeria’s north and Niger Delta region. 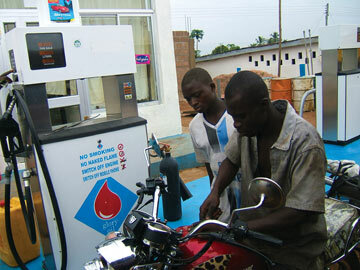 Another example of gas commercialization is in Africa’s southern tier. Although natural gas was first discovered in Mozambique in 1961, commercial operations did not start until 2004 for lack of demand. 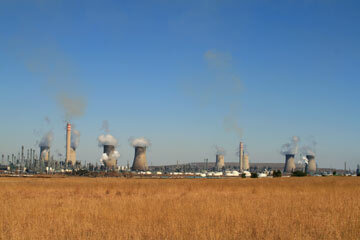 Then a pipeline was built to supply chemical company Sasol’s petrochemical and coal-to-liquids complex in South Africa. This development is now fueling gas supply to local industries in Mozambique. In 2007, a public transportation company in the capital city of Maputo introduced buses that run on compressed natural gas not only to create additional markets for domestic natural gas, but also to reduce the cost of imported oil products. These market developments already encouraged further exploration activity that will likely increase Mozambique’s gas reserves. Tanzania in East Africa has also been able to monetize its own small reserves with power generation since 2004. About 18 industrial users switched from liquid fuels to natural gas. Additionally, the Tanzania Petroleum Development Corporation is now building a distribution network in Dar es Salaam to provide up to 15,000 families with natural gas. Despite the small size of their reserves and markets, Mozambique and Tanzania have developed their gas reserves thanks to a large anchor project such as a power plant or a petrochemical facility. Once the initial development of the field and first transmission lines were financed based on such projects, it was easier for industries to switch to natural gas from liquid fuels. High oil prices definitely made the decision to switch easier for large users. Now it is also possible to connect residential and commercial users and use compressed natural gas for at least public transportation. This approach can be repeated in other countries. Foreign investment is key to the future, and so far, China has been leading the way. In 2000, Chinese companies had investments only in Sudan. Today, Chinese companies have upstream (exploration and production) interests in about 20 countries and downstream (refining and other) interests in six countries in Africa, covering nearly the entire continent. China’s interest in Africa is not limited to the oil and gas industry; rather, it is taking an integrated approach to access critical natural resources and raw materials and establish economic investment opportunities in other segments of African economies. More than 800 companies from China are estimated to be active in Africa, investing $12 billion to $13 billion since 1999, with trade between Africa and China reaching $55 billion annually. The support of the Chinese government is strong, as demonstrated by events that grab world attention, like the Forum on China-Africa Cooperation meetings held in Beijing since 2006. China promised to double its aid to Africa through 2009 in addition to providing $3 billion in preferred loans, $2 billion in export credits and the establishment of a $5 billion fund to encourage investment in Africa by Chinese companies. China also promised to train thousands of African professionals and to transfer agricultural technology and practices. Reactions vary to the way the Chinese are investing in Africa. Controversy continues over the use of imported Chinese labor rather than local workers and use of Chinese equipment and supplies as opposed to local procurement. Furthermore, in the extractive industries, such as mining and oil and gas, Chinese companies are accused of bypassing international restrictions on corruption and emerging transparency standards, such as in Sudan where there is rising pressure on China to use its influence to stop atrocities in Darfur. The African Union (AU) is now developing a strategy for engaging China and other emerging market economies such as India, Brazil and Turkey that have been looking at Africa for new markets and investment opportunities. The AU believes that a coordinated approach by member countries to relations with China and other investors would help develop the best practices by investors when it comes to technology transfer, employment of local labor force, expansion of domestic businesses and guardianship of local communities and environment. The AU will play this coordinating role via the China-Africa cooperation process, hoping to increase the continent’s negotiation power in dealing with a large new player like China. One of the most important goals appears to be the development of value-adding industries rather than simply exporting natural resources extracted by Chinese companies or others. Africa will soon begin to play a strategic role as a world oil and gas supplier. African countries offer access to hydrocarbons under contractual terms that allow international oil companies to realize attractive rates of return. With respect to world class deepwater provinces, the number of international oil companies with financial resources that can handle the technological risks of these projects is limited. As long as host countries continue to offer access and competitive fiscal terms, international companies should continue to invest in these large projects. Competition from China and other countries will deepen Africa’s prospects. China is driven to secure oil and other raw material supplies to sustain its economic growth. Chinese companies may in fact help with the development of smaller reserves that would otherwise be left in the ground. The most significant risk to Africa’s oil and gas future is failure by African governments and leaders at all levels to properly account for and invest revenues from resource exploitation. Africa’s economic development and basic needs such as healthcare and education are huge. Benefits to local communities hosting oil and gas operations should be fair and tangible, including the protection of their natural environments in order to avoid problems like those plaguing the Niger Delta. Coup attempts in Equatorial Guinea and the Chad government’s use of oil revenues in disregard of the Chad-Cameroon pipeline treaty framework are the kinds of problems that raise concerns about the ability of African governments to properly manage the continent’s resource wealth. The future of oil and gas is ready for Africa. Is Africa ready for that future? Michot Foss is chief energy economist and head of the Center for Energy Economics at the Bureau of Economic Geology, Jackson School of Geosciences, at the University of Texas at Austin. She leads U.S. and worldwide research on energy markets, technology and commercialization at the Center for Energy Economics. E-mail: energyecon@beg.utexas.edu.